I need to say up front that I have been a long time fan of the most wonderful Marcia Hines and a few weeks ago when I found out that she had been back in the studio putting together a new album I was immediately excited at the idea of an album filled with new songs and this morning when I got up I found the notification from iTunes to tell me that it had been delivered over night onto my iPad! So what was the first thing that I did – listen of course! What a stunning new album filled with some beautiful songs that once again highlight the brilliance of Marcia and her musicality. I suppose for me the difference to her most recent albums is that this heartfelt, soulful album was written or co-written by Marcia and what a revelation it is! There is much soul, some dance, power ballads and so much more here and it even has a great duet with Russell Crowe. I was excited as soon as I heard that there was a new album in the works and also when I read that it had been written by Marcia herself. It is always so easy to read much into the lyrics and the story telling that goes with an album. 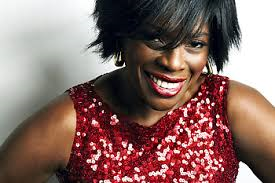 I love listening and thinking about how a lyric relates to me and my life experience and also the experience of the singer and as usual with a Marcia Hines album each song has a story attached to it, whether it is about love, loss, relationships or even climate change. 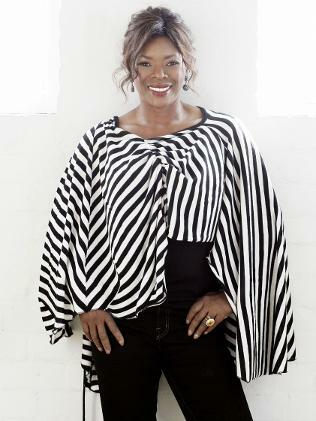 In a recent interview about the album Marcia talks about a meeting at a party with Joni Mitchell and the instant connection that come and the discussion that they had together about following your heart and your passion and being true to what you want to do – something that Marcia Hines has always done and I get the sense that some of that triggered what has evolved into this album. I have been lucky enough over the years to have seen Marcia perform a number of times live and I am always struck by the wonder of her voice and that today it still sounds as good as it did when she first hit the scene in Australia 4 decades ago! Now to the album itself, Amazing is the album and amazing is what it is! Yes you can say perhaps I am biased but I am also one to not bang the drum for any album unless I really relate to it and enjoy the listening experience. There are some albums that one or two songs are great and then the rest of the album can be a tad mediocre but not here…this is an album that grabs you from the beginning and takes you on a journey with a series of great songs that interweave through the album. I of course have my favourites – after doing an amazing performance at Mardi Gras this year I can see Marcia being invited back again next year to do “Let love flow” which has to be a dance anthem for all of us LGBT people. It really spoke to me and the message about opening your life because life is too short is one of the things that I live by and I just loved this song. It is about being strong, confident, loving, living and being and is a wonderful dance anthem! The title track “Amazing” is one of those songs that from the opening notes gets your foot tapping and when I first heard it I was dancing around my lounge room. I loved the message of being with someone and celebrating that with that person. Marcia has one of those voices that is so clear and so distinctive that you just get wrapped up in the lyrics and the story whilst enjoying the obvious passion and delight the she exudes with each song. “Remedy’, the duet with Russell Crowe is fun and the harmonies are great to listen to and this is a nice addition to the album and works well with the other songs on here. Other highlights for me, and that is not to diminish any of the other songs as I really did love each and every one of them, but some spoke to me more than others were “Line in the sand” which is all about strength and being true to who you are and standing your ground on what you believe and staying true to that – which I suppose resonates for me. “Chase that feeling” has a great beat behind it and is another one that you cannot help but move too…the feeling of this song is also melodious, smooth and a delight. There are a number of songs about relationships and their breakdown and reflecting on the mistakes that are sometimes made and wanting to go back or regretting the end of them and these are the songs when emotion comes to the fore. Powerful, heart felt and as usual with Marcia Hines on songs like “Hung up” and ‘Coldest Winter Nights’ you really hear the depth in the story telling and her amazing vocal intonations to really get into the feelings being expressed. The last track on the album “Imagine” goes in a different direction and is a strong vocal powerhouse of a song that really allows you to hear the wonder of Marcia’s voice and this power ballad soars and reminds you about the brilliance of Marcia Hines. Paramodel – Chaos meets Zen at the John Curtin Gallery!